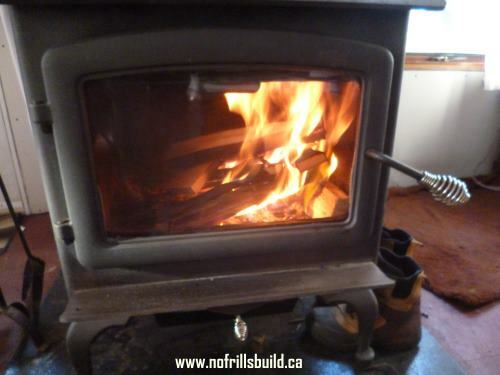 Each woodstove is different, so finding the perfect way to light the kindling and get a fire going will alter a bit with each one. 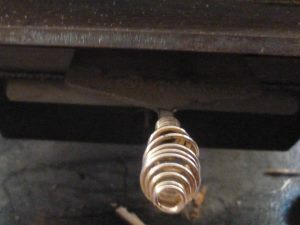 This is the way I have found that can be customized for each type of air tight heater, no matter the size of the firebox. There should be a base of ashes in the bottom of the firebox, but you don't want it so deep that it will spill out when the fire is burning. Nothing causes a panic like glowing coals rolling out onto the hearth. Some wood burning heaters have an ash box, but as this is also where the air comes in for combustion it's a good idea to have that clean. Use it and dispose of the ashes before you start, and also clean the window. Dampen a couple of pieces of paper towel with plain old tap water and dab it into the ashes. Rub it around on the window to get rid of the built up soot. You won't scratch the glass, and there are no chemicals. I start with a bridge. 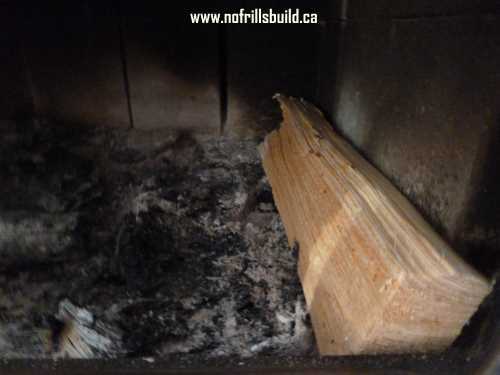 This is a piece of wood that will fit across the firebox and give something for the other pieces to rest on, leaving enough room between the kindling to allow the fire to burn. This is the main cause of slow starting, not leaving that crucial space. As my firebox is wider than it is deep, I put the bridge at one end. If the firebox is deep and narrow, I put that at the front, building the rest of the fire behind it. You will get to know your stove in time. Use these directions to get you started, then tweak as needed - you'll find your own way of doing it. Two pieces are placed at each end of the bridge. I call these abutments. Then another small piece is placed across those, parallel to the bridge. Two or three pieces of newspaper are crumpled quite tightly and placed in between the two abutments. 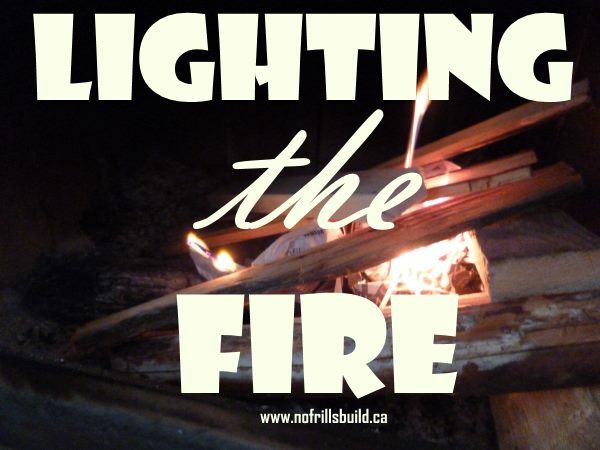 Kindling, small skinny pieces of cedar, if you have it, or any other dry type of wood are placed across the paper, and the fire is lit. I try to get the paper really going quickly by lighting it in several places. 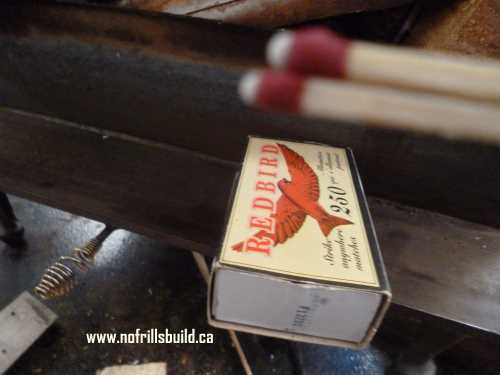 With luck, the kindling will light before the paper burns up, giving a good base to set another couple of smallish pieces across and get those to catch. If it doesn't go, there are a couple of things that could be happening. One is that your wood is damp, in which case, you're doomed. 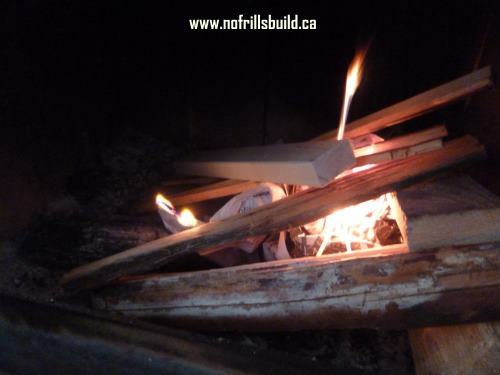 You'll never be able to start a fire with damp wood. 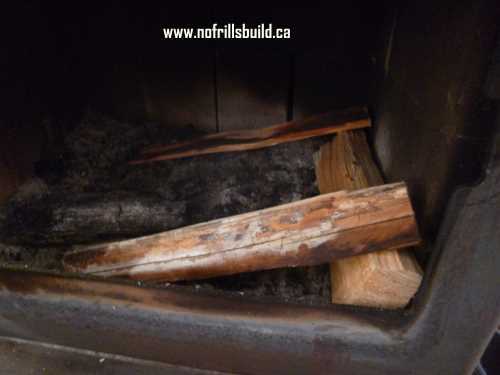 You can put damp wood on a fire that is already going and it will dry out and then burn in the heat. You'll have a hard time starting one with wet wood. The other thing that could be happening is that the air in the chimney is cold, and has settled, making it difficult for the warm air to chase it out. 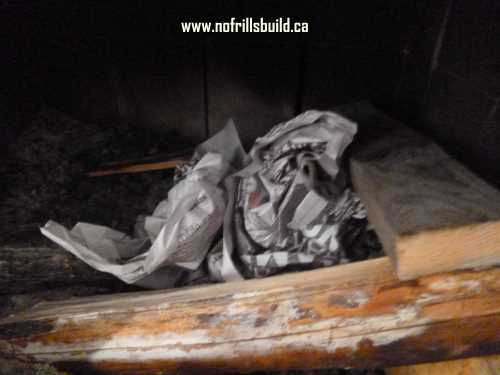 This one is an easy fix; crumple up some more pieces of newspaper, and relight the fire. Once the chimney is warmed up it will start to draw, or pull the warm air up the flue. 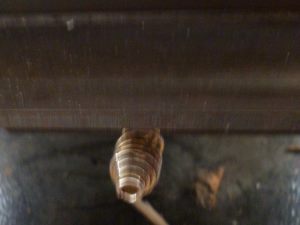 Generally, I close the damper which draws in cool air for combustion, and leave the door open a crack, which creates a good draw and really gets the fire going. Never shut down a fire until it's really going and putting out heat. 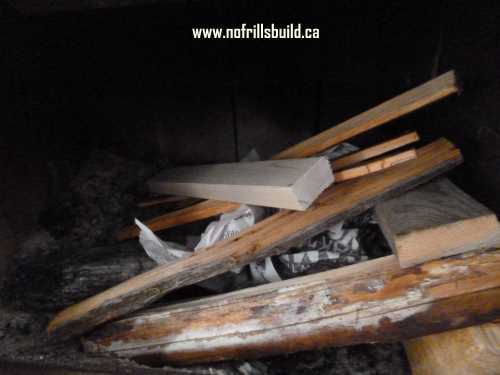 Once the fire is firmly established on several of the smaller pieces and the abutments have burned through, you can add a couple more medium pieces and close the door, opening the damper at the same time. It's recommended that you get the chimney cleaned by a professional a couple of times a year so that soot and creosote don't build up. 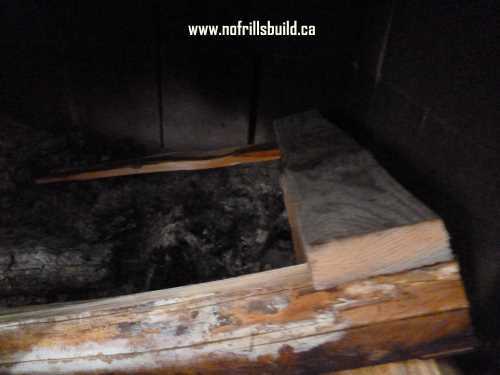 This is a major cause of chimney fires, so don't omit this important step.